Few physicians and practice managers enjoy the dreaded task of budgeting for the upcoming year. There never seems to be enough money to accomplish everything, and with the growing list of regulatory requirements, this probably won’t change anytime soon. 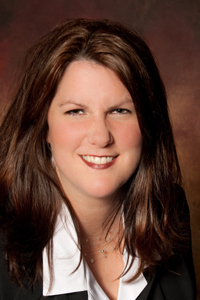 However, setting a budget—and sticking to it—is one of the most important steps that practices can take toward ensuring financial viability, says Heather Greene, MBA, RHIA, CPC, CPMA, vice president of compliance at Kraft Healthcare Consulting, LLC in Nashville, TN. Regardless of your practice’s size, specialty, or location, there are several important areas in which physicians should invest in 2015. Greene provides a summary of the top seven investment opportunities. Practices should also budget for travel expenses, material costs for trainings, practice time for coding in ICD-10, as well as ongoing refresher training leading up to the October 1, 2015 implementation date. 2. Compliance plan. When practices operate using what Greene refers to as a “skeleton budget,” the compliance plan is often one of the first items to be forgotten. However, practices that don’t develop a formal, written compliance plan put themselves at risk for audits and recoupments. Don’t have enough money to hire a consultant or develop one internally from scratch? Physicians on a strict budget may be able to team up with other local practices of similar size and specialty to compile a list of vulnerabilities and then create a plan to address those vulnerabilities. Also consider contacting local hospitals to determine whether the practice can tailor the hospital plan to fit its own needs. Many hospitals are willing to share this information with practices when they ask, says Greene. The OIG Work Plan, which is updated annually, is another great resource on which practices can base their plans. The OIG also provides other guidance for how practices can develop compliance plans. 3. Meaningful Use. 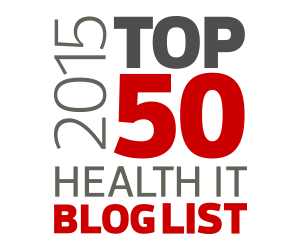 Though it may seem labor intensive, it’s worth it for practices to attest to Meaningful Use. 2014 is the last year in which eligible professionals can begin participation and receive an incentive payment. Beginning in 2015, eligible professionals who do not successfully demonstrate meaningful use will be subject to a payment adjustment. The payment reduction starts at 1% and increases each year that an eligible professional does not demonstrate meaningful use. The maximum penalty is 5%. Greene says it’s important to evaluate whether your EHR is meeting your expectations, including whether it is enabling your progress toward Meaningful Use attestation. Don’t continue to invest in a vendor that isn’t working for you, she says. You may need to cut your losses and move on. 4. Internal audits. Heading into ICD-10, it will be paramount for physician practices to perform proactive audits regarding coding and documentation quality. Working with a consultant to perform these audits may be most effective. Some consultants can also provide audits to make your practice more efficient. This will be particularly important heading into ICD-10 when both coder and physician productivity are expected to decrease. 5. Certified coders. Some practices may rely on individuals who don’t have formal coding training or credentials to perform the coding function. Although this may have been acceptable, the practice of hiring non-credentialed coders may become obsolete as physicians continue to undergo billing and documentation scrutiny by external auditors. Consider investing in a seasoned, certified coder or at least providing formal coding certification training for existing staff members. The American Academy of Professional Coders provides many resources on coder salaries, including an annual salary survey. Keep in mind that one certified coder would likely pay for him or herself annually by preventing denials and costly recoupments. 6. Non-physician practitioners. As patients continue to flood the healthcare system due to the Affordable Care Act, it may be worthwhile for physicians to invest in non-physician practitioners. The Medical Group Management Association published a report in March titled “NPP utilization in the future of US Healthcare” that can help practices determine how an NPP might benefit them. The report also answers other questions, such as how to recruit and retain an NPP, whether a full-time or part-time contract is appropriate, and more. 7. Marketing. Although the Affordable Care Act may continue to bring in new business for your practice, it’s important to think strategically for long-term success. Marketing the practice via a Website or social media can help establish a brand, highlight areas of expertise, and more, according to amednews.com. Keep budgets for each initiative separate, says Greene. For example, keep one budget for Meaningful Use and another separate budget for ICD-10 training. 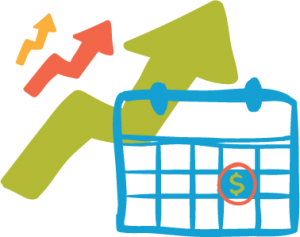 This helps practices track spending and assess the impact of changes to each budget. Practices should also think about creating a “rainy day” fund to minimize the impact of payment delays related to ICD-10. The Healthcare Information and Management Systems Society (HIMSS) provides an ICD-10 preparation and contingency planning resource for large practices as well as one for small to medium practices. For more on how to plan for the coming year, watch the recorded webinar, Planning for 2015: Make It a Best Practice Year. OK first off…even though the economy is improving, many businesses are still wary, and a lot of people aren’t getting raises, so it’s not just you. In healthcare, specifically, practices have concerns about changes in reimbursement, the cost of ICD-10, and coming penalties from CMS in 2015. The one thing you should absolutely NOT do is get in a snit and go storming out of your boss’s office. That will do nothing for your next evaluation, your next shot at a raise, or your standing at the practice. Company finances. With things being what they are in healthcare, there’s a real good chance that this is going to be the case. And if they tell you that, there’s a real good chance that they are being honest with you, especially if nobody else in the practice is seeing a raise. If that’s the case, there’s not much that you can do but accept it, get over it, and move on. As the economy continues to improve so will your chances of you raise down the road. Poor timing. Some healthcare businesses are more seasonal that others. It may not be the right time. Or, it may be that a recent large investment in the practice makes it difficult to invest in raises today. If that’s the case, once again, there’s not much you can do about it. Of course, that doesn’t do you much good if your own expenses are going up, your spouse lost a job or your kids need braces. Discuss the possibility of overtime or incentive pay. Some practices are offering incentives to staff who increase appointments through recall programs or increase patient collections. Unfortunately, if the practice is feeling the pinch (as in the above scenario) they may also be cutting back on bonuses, overtime, and incentives to scale back on payroll expenses. So…if you’re going to have to wait until the next quarter, next year, or next evaluation (and overtime isn’t an option) your best move is going to be to keep the nose to the grindstone and do the absolute best job you can manage so that when the time comes, you’ll get that raise after all! Poor performance. If your raise was declined due to performance issues, this is when you need to be proactive, stand on your own two feet and find out the specifics. Chances are you’re going to find this out when it’s evaluation time anyway, but regardless, ask your manager what areas need to be improved. Find out where your weak points are, and do your dead level best to improve on them. Or, your alternative might be to start looking for another job elsewhere, with better pay and better opportunities. But a word to the wise here: if you’re moving in that direction, keep it to yourself. Nothing can sabotage your future quicker than making it known that you’re thinking about moving on. It can be hard when you don’t get a raise you expected, but the reasons may be valid. It may also be an opportunity for you to bring new ideas and challenge yourself. Suggesting incentives for employees based on certain performance measures like increasing appointments is one way. Another way is to take advantage of educational opportunities to grow in your field. There are many free programs out there than can help you excel at your work. As patient accounts receivable (A/R) increases for medical practices, it is more important to have a solid program in place for your patient collections. Collecting copays at check in isn’t enough, and you don’t want to leave that money uncollected. According to Forbes, the amount patients are paying has doubled in the last five years. Other studies suggest patients are paying as much as 30% of their medical costs out of pocket. In turn, patient A/R is now about 30% for your practice. While most payers provide copay information when you check eligibility, the rest of the data you get can vary widely. Even if you can get deductible and coinsurance, your staff may not be able to process the superbill before the patient leaves the office. So figuring out even an estimated patient due amount is often unrealistic. This makes it tough to collect those balances at the ideal time—before the patient leaves. Some practices are using credit card on file effectively to collect those balances without even sending a statement. Still, credit card on file usually has a cap of $100-200. So, how can you improve collection of larger balances on the back end? By improving your patient statements process! Don’t send statements on a monthly cycle. The longer a patient balance goes unpaid, the less likely you are to get paid. As soon as you have the ERA back from the payer and know the patient due amount, send the statement. Use professional statements. Whether they are printed in-house or through a service, professional statements are more likely to be paid. There are however many benefits to using the patient statement service. In fact, it is often less expensive and faster. Offer electronic statements as well as paper along with online billpay. It takes a few days for a printed statement to get to the patient. Then, they pay it when they get around to writing a check. When you send an email that they have an electronic statement, they get it immediately. When they view the statement, the option to pay is right there on the screen. They are much more likely to pay in the moment. By streamlining the statements process you are giving patients the tools and avenues to pay their balances faster. To find out more about improving patient collections, watch the free webinar Patient Collections 101. Complex chronic care management—more money or more headaches? Managing chronic conditions is both time- and resource-intensive for physicians, many of whom spend countless hours coordinating care outside of a typical patient visit. 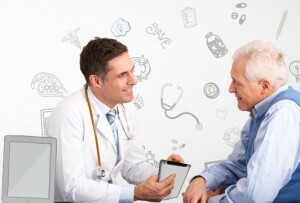 Physicians are not currently reimbursed for this time; however, this policy changed when CMS recently finalized its proposal to make a separate payment for non-face-to-face chronic care management (CCM) for Medicare beneficiaries who have multiple (i.e., two or more) significant chronic conditions. The calendar year 2015 Medicare Physician Fee Schedule final rule was published as a display copy on Friday, October 31, 2014. In it, CMS states it will pay for non-face-to-face chronic care management services, including ongoing development and revisions of care plans, communication with other treating providers, and medication management. CMS will allow approximately $42 for code 99490 that denotes non-face-to-face CCM. Patients must have two or more chronic conditions that are expected to last at least 12 months or until the patient’s death and that place the patient at significant risk of death, acute exacerbation/decompensation, or functional decline. To bill this code, physicians or their clinical staff members must spend at least 20 minutes performing the CCM services. Direct supervision is not required, which means that nursing staff or non-physician practitioners can render CCM even if the physician is not in the office. Physicians may bill this code no more frequently than once per month per qualified patient. For CCM payment in 2015, physicians must use EHR technology certified to either the 2011 or 2014 edition(s) of certification criteria. Although primary care physicians may be the ones who report CCM most often, it seems clear that they will not be the only physicians to use these codes, says Moore. “As I read the CMS policy, it seems to be their intent that this is aimed at primary care physicians, but there’s nothing in the policy that limits it to primary care,” he adds. Ongoing patient access to the practice. This includes access 24 hours a day, 7 days a week. Continuity of care, which means that patients should be able to get successive routine appointments with a designated practitioner or member of the care team. Systematic assessments of patients’ medical, functional, and psychological needs. This includes timely preventive care services, medication reconciliation, and oversight of patients’ ability to self-manage medications. Creation of a patient-centered care plan document that serves as a comprehensive plan of care for all health issues. Management of patients’ care transitions among providers and settings. Enhanced opportunities for a beneficiary and/or caregiver to communicate with practitioners via phone, secure messaging, Internet, or other asynchronous methods. In its comments to CMS regarding the proposed rule, the AAFP pointed out several other questions and concerns regarding CCM. For example, CMS plans to pay for only 20 minutes of clinical staff time as part of performing these services. The AAFP urges CMS to include more than 20 minutes of clinical staff time in the direct practice expense inputs for the code. The Academy says that 60 minutes would be more appropriate. It also suggests unbundling CPT codes 99487 and 99489, which allow for add-on codes to capture additional time spent. Moore says the EHR requirement may be a “major barrier” to widespread use of the proposed CCM code. In its comments to CMS, the AAFP says that family physicians who have not adopted an electronic record are more than capable of managing patients’ chronic conditions. Tracking CCM may also be problematic for physicians. “The practice is going to need some way to keep track of how much clinical staff time is spent to ensure that it does, in fact, reach the 20-minute threshold,” says Moore. This may be difficult when services are rendered throughout the month in small increments. It may also be challenging to configure the billing or practice management system to hold claims so that these services are only billed once per month. Moore says the AAFP is developing an Excel tool to help practices track time spent on CCM. In addition, CMS has not published a list of diagnoses for which CCM can be rendered (i.e., eligible chronic conditions that meet the definition of the code). “Whether or not the absence of such a list will help or hurt physicians as they take advantage of this code remains to be seen,” says Moore. To find out about more changes coming in reimbursement, register for the free webinar Getting Paid in 2015; What You Need to Know. Discover how to create your strategic plan to achieve success in 2015 for your practice! Is your practice stagnating? Do you know what the next steps are for your practice to thrive in these changing times? In this webinar, author of Secrets of the Best Run Practices, Judy Capko, will share strategies for examining your practice performance in 2014 and planning for 2015. This is your opportunity to drive future success and achieve impressive results. Join Judy and learn new tools to become a best practice! The November edition of the Kareo Getting Paid Newsletter provides information on why you should be creating a strategic plan, how to achieve ROI when using technology like EHR. The newsletter also provides a chance to discover upcoming events, news, and resources from Kareo. 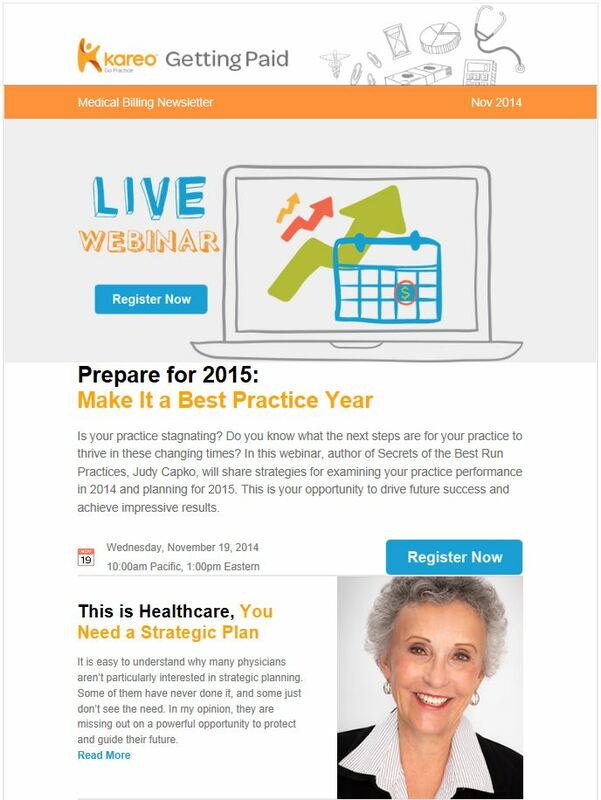 Plus, you’ll learn about how to register for our upcoming free educational webinar, Prepare for 2015: Make It a Best Practice Year, presented by practice management expert Judy Capko. Read all this and more now! Will EHRs actually pay off and bring a return on investment (ROI)? Some physicians fear that even after enduring a costly and difficult implementation, their practices simply won’t be able to absorb the expenses. This fear and uncertainty about ROI continues to hinder adoption even despite Meaningful Use incentives. Approximately 41% of the 1,442 respondents who completed the Physicians Practice 2014 Annual Technology Survey sponsored by Kareo reported they have seen an ROI as a result of their EHR. Other studies also indicate an improvement in terms of ROI after EHR implementation. For example, researchers surveyed physician practices in Massachusetts about ROI after they participated in an EHR pilot program. During the pilot that took place between March 2006 and December 2007, the Massachusetts eHealth Collaborative worked with 80 ambulatory care practices in three diverse communities to help them adopt EHRs. The collaborative paid the cost of each practice’s EHR, employed consultants to assist with implementation, and also assisted with vendor selection and contract negotiation. 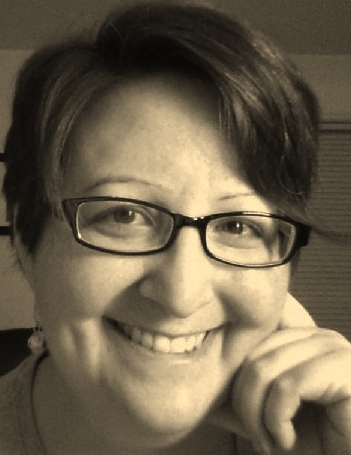 Julia Adler-Milstein, assistant professor in the School of Information with a joint appointment in the School of Public Health at the University of Michigan was one of three researchers who subsequently surveyed these practices in order to determine the average five-year ROI as well as how ROI may vary by practice type and specialty. The survey required practices to report retrospective financial data from fiscal years 2005 (before EHR adoption) and 2008 (post-EHR adoption). This data was then used to create five-year ROI projections. According to the study, which was published in the March 2013 issue of Health Affairs, only 27% of practices experienced a positive ROI after five years. Many practices actually saw a negative return of $43,743 per provider over five years, the study found. Another finding was that smaller practices struggled more than larger practices to reap the benefits of the technology. Thirty-eight percent of practices with six or more physicians had a positive average ROI compared to 26% of practices with only one or two physicians. The study also found that specialty practices fared slightly worse than those working in primary care. What’s the story behind these findings, and are they still relevant today? It all comes down to how practices incorporate the EHR into their workflows, says Adler-Milstein. The goal is to cut costs, where possible, and increase efficiency and patient volume. If practices can accomplish either or both of these goals, they’ll likely see a positive ROI. “The point is that it’s not automatic. 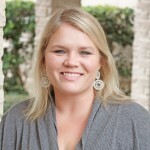 You have to work hard and make a bunch of changes in order to get a positive ROI,” she says. She says that primary care practices may have achieved a higher ROI simply because they were able to increase the volume of patients seen in their practices. This can be attributed to both the increased efficiency with EHRs as well as a Massachusetts healthcare reform law passed in 2006 that required all residents ages 18 and older to maintain health insurance. “There were a lot more patients demanding primary care services, so that helped on the revenue side for these practices,” says Adler-Milstein. Larger practices fared slightly better because they were able to spread out the fixed cost of EHR adoption across more providers, she adds. Surprisingly, vendor selection didn’t play a large role in outcomes. In other words, ROI wasn’t correlated to a specific vendor, but rather it was more about how the practice actually used the technology in its daily work, she adds. However, Meaningful Use is an important factor in the discussion of ROI, and it may be one that will continue to shape data going forward. After completing the survey and analyzing results, Adler-Milstein and her colleagues applied the Meaningful Use incentives to determine how much—if any—these incentives would have offset costs and improved ROI. Using the maximum Medicare incentive of $44,000, they determined that an additional 14% of practices would have broken even after five years, had the incentives been applied. Doubling the incentive would have meant that 59% of practices would have broken even. Tripling it would increase this percentage to 67%. The good news is that these statistics and findings don’t necessary need to seal your practice’s fate, says Adler-Milstein. Practices that work consciously to achieve ROI will likely be happy with the results, she adds. Those practices that did experience positive ROI increased revenue by more than $100,000 per physician over five years, the study found. Is the practice able to see more patients because of greater efficiency with the EHR? Can the practice cut major costs as a result of the EHR? These costs could include paper costs, transcription costs, or even FTEs. “Identify what cost buckets you think you can reduce, and monitor to make sure that these costs really are going away,” she says. 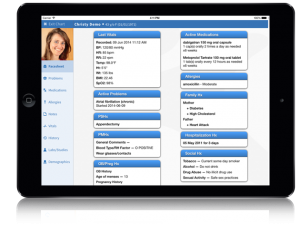 Appoint a savvy practice manager who can oversee the EHR effort. Invest in this individual and ensure that he or she has all of the resources necessary to drive change within the practice. Make the transition to a fully electronic record. Many practices continue to keep paper records while also moving to the electronic record. This defeats the purpose of the technology and fails to reduce costs. Cut positions that are no longer needed. Though this is a difficult task, particularly in smaller practices, it helps practices achieve a positive ROI. Ask medical assistants (MA) to load information in the EHR before physicians enter the exam room. MAs may also be able to input basic patient data as well. Anything that can streamline efficiency and maximize the physician’s time with the patient will be beneficial. Think of the EHR as a long-term investment in the practice and work over time to optimize how it is used. Here are five recommendations on using Facebook from practice management expert Audrey McLaughlin. This is excerpted from the new ebook, 26 Social Media Tips for Your Medical Practice: Expert Advice on Making the Most of Social Media. 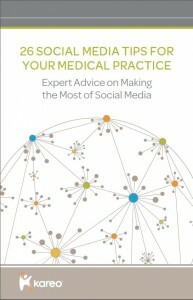 The book brings together tips from experts across healthcare, marketing, and social media to provide you with best practices to effectively use social media for your medical practice. 1. Facebook’s user terms say so, and you are better off following their rules on their platform. You may find yourself with a cancelled account for violating Facebook’s Terms of Services if you are utilizing one of the “personal profiles” strictly for business promotion. 2. You may reach the ceiling. Your business page allows unlimited fans to “like” it and see your content. A personal page however is capped at 5,000 friends. 3. Analytics. Personal pages don’t offer the analytics that Facebook’s business pages offer. If you are not measuring what is effective in your efforts and what is not, then you are doing yourself and your practice a disservice. 4. Advertising. The very problem that most practices have with Facebook is also what makes it so great. Extremely targeted and cheap advertising. You won’t find any other advertising source (outside of social media) that will allow you to drill down into specifics about your ideal patient more than Facebook. Looking for more ways to use social media to engage with patients and colleagues in your practice? Download 26 Social Media Tips for Your Medical Practice: Expert Advice on Making the Most of Social Media now! It is easy to understand why many physicians aren’t particularly interested in strategic planning. Some of them have never done it, and some just don’t see the need. It seems they have enough on their minds just trying to keep the practice on firm ground, let alone thinking about what should be done next year. In my opinion, they are missing out on a powerful opportunity to protect and guide their future. If you are part of the management team of a medical practice, clinic, or ambulatory surgery center, or run a medical billing service, I hope this information will inspire you to create a formal strategic plan that positions your business for a brighter future. It’s similar to a professional basketball game. Coaches have a clear vision of the team’s strengths and weaknesses. They also find out as much as they can about the opposition. Effective coaches draw on the team’s capabilities and plan a series of strategies to outsmart the competition. The coach intends to win the game and makes sure the quarterback leads the team, never straying from that objective. This same approach applies to the business of medicine. Healthcare is so complex and changing so rapidly that a practice must have a strategic plan in order to survive. The larger, busier and more complex the practice, the more critical this becomes. It’s reasonable to expect that every medical enterprise is faced with different issues within its walls and in the community where it resides. How we respond to these critical issues, the decisions we make and the results we achieve, are directly related to how well we understand our business and how well we prepare for the future. What if There Is No Plan? Without a plan practices may not be prepared for growth or unexpected circumstances that affect how they perform (survive or thrive) in the future. They will not recognize the opportunities or take steps to overcome obstacles to protect their future, improve their market share or help them become more profitable. There’s a chance they will be blind-sided, because they didn’t see a potential threat and take proactive measures to overcome it and protect the practice. This could result in eroding your market share, causing a decline in revenue and deterioration in staff morale. If the practice experiences these types of changes there is tendency to hit the panic button and a solid foundation can quickly feel like quicksand. Strategic planning provides a blueprint for the practice to follow and get it where it intends to go. It will result in better decision-making when it comes to expanding services, adding providers, investing in equipment, or preparing for inevitable retirement. Strategic planning is a proactive process rather than taking a reactive approach to making decisions. It provides a concrete plan to protect, and even flourish, in times of uncertainty. Many medical businesses recognize the need to hire a skilled consulting team that can dedicate the time necessary to examine your position, provide an objective analysis and conduct a strategic planning retreat to guide the process and develop an effective plan. A solid strategic plan will examine the marketplace, the community and the competition, and take a critical look at your past and current business performance. It will clearly address challenges and provide an opportunity to develop an action plan that focuses on business strengths and potential opportunities, while overcoming potential threats. It will be the powerful source that helps you accomplish impressive achievements in a competitive and economically challenging environment. So what are you waiting for? Get more details on how to complete your own strategic plan at my upcoming webinar, Prepare for 2015: Make It a Best Practice Year, on Wednesday, November 19. Register Now! Attention pediatricians: The transition to ICD-10 could have a particularly significant impact on your practice’s bottom line, according to new research conducted by the University of Illinois at Chicago. Using a web-based tool developed at the university, researchers analyzed 2010 Illinois Medicaid data to discover that 26% percent of pediatric ICD-9-CM codes have convoluted mapping to ICD-10-CM. This means that converting these codes to the new coding system is either complex or difficult, oftentimes demanding documentation specificity. 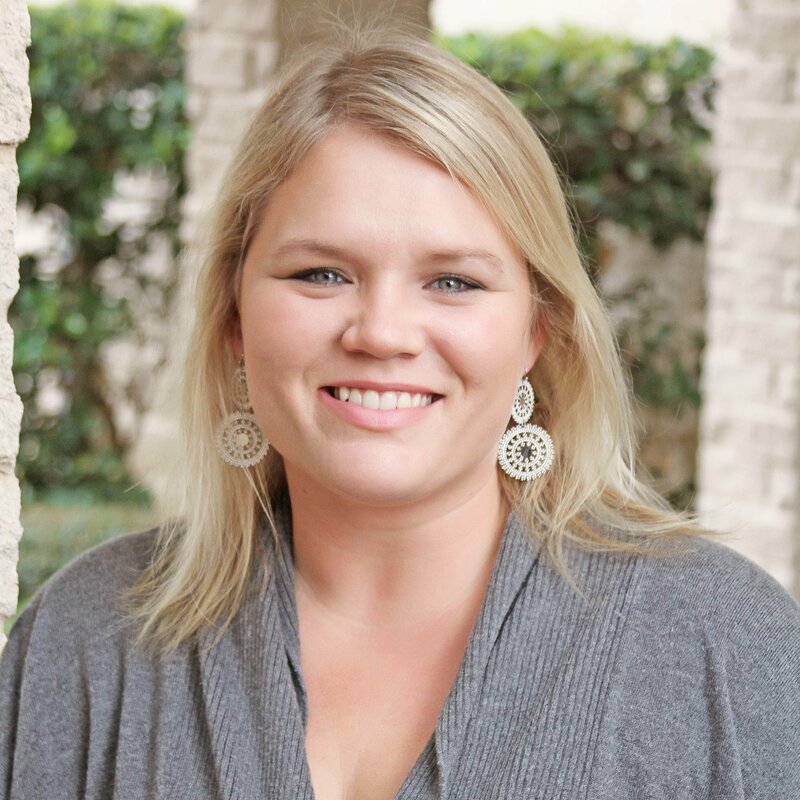 In a specialty that already has a low financial margin, ensuring thorough documentation practices will be critical, says Jackie Stack, CPC, CPB, CPC-I, CEMC, CFPC, CIMC, CPEDC, director of ICD-10 training and education at the American Academy of Professional Coders. Many of the diagnoses that pediatricians report frequently are now much more specific. If pediatricians continue to document as they do today, these diagnoses will map to unspecified codes in ICD-10 that payers may not reimburse. In ICD-10-CM, documentation of ‘asthma’ is not sufficient. Instead, pediatricians must specify the type of asthma (i.e., mild intermittent, mild persistent, moderate persistent, severe persistent, or other) as well as whether the asthma is uncomplicated, with exacerbation, or with status asthmaticus. An additional code is necessary to denote the cause of the asthma (e.g., exposure to environmental tobacco smoke, history of tobacco use, or occupational exposure to environmental tobacco smoke). The National Heart Lung and Blood Institute publishes guidelines regarding the classification of asthma and clinical criteria. See p. 5 of the Asthma Care Quick Reference Guide, and be sure to stick to these definitions. In ICD-10-CM, documentation of ‘otitis media’ is not sufficient. Instead, pediatricians must specify the type of otitis media (e.g., serous, sanguinous, suppurative, allergic, mucoid), the severity (i.e., acute, chronic, subacute, or recurrent), and laterality (i.e., left, right, or bilateral). Additional codes must be assigned to denote the presence of any associated perforated tympanic membrane as well as any environmental factors (e.g., tobacco use, tobacco dependence, or history of tobacco use). ICD-9-CM includes one code for a well-child exam (V20.2 or V20.3x, depending on the child’s age). ICD-10-CM provides more options because it also distinguishes between ‘with abnormal findings’ and ‘without abnormal findings.’ Be sure to document the specific abnormal finding, when present. The distinction between ‘with’ and ‘without’ abnormal findings could benefit pediatric practices because it may bolster support for providers to be able to separately bill for an evaluation and management service. For example, if during a well-child exam, a provider uncovers, evaluates, and treats an ear infection, he or she may be able to bill for the well-child check with abnormal findings as well an office visit with a modifier -25. Physicians should clearly document the treatment and evaluation of any abnormal findings that they discover. Stack also cautions providers to check with their insurance carriers before implementing this process. Encounter for immunization (Z23). In ICD-9-CM, each immunization procedure code required a corresponding diagnosis code indicating the purpose for the immunization. In ICD-10-CM, pediatricians simply report Z23 with each immunization. This simplifies the process and creates less work. The codes for diabetes have greatly expanded in ICD-10-CM to include the type of diabetes (i.e., type 1, type 2, drug- or chemical-induced, due to an underlying condition [specify the condition], or gestational) and any body systems affected and/or complications. An additional code is necessary to denote the use of insulin. Underdosing is a new concept in ICD-10-CM that captures instances in which a patient takes less of a medication than what is prescribed. Pediatricians must specify whether the underdosing is intentional or unintentional. If intentional, specify whether it’s due to financial hardship or some other reason. If unintentional, specify whether it’s because of an age-related debility or some other reason. Pediatricians may frequently report an intentional underdosing if parents cannot afford to provide medications for their children. These codes are important in terms of collecting data that insurers can use to provide programs to help individuals pay for medication or make suggestions for lower-cost drugs. ICD-10-CM codes for injuries are organized by anatomical site. Pediatricians must document the site of the injury and the episode of care (i.e., initial, subsequent, or sequelae). When coding for injuries, it’s almost important to report external cause codes to explain how the injury occurred. These codes denote the following: External cause (i.e., how the injury was sustained), place of occurrence (i.e., where the injury occurred), activity (i.e., what the patient was doing at the time of the injury), and external cause status (i.e., work status of the patient at the time of the injury, such as work, volunteer, leisure activity, etc.). Pediatricians must document acuity (i.e., acute, chronic, or subacute) as well as the causal organism (e.g., respiratory syncytial virus or metapneumoviris). If the cause of the bronchitis is unknown (as is often ultimately the case for patients with an initial presentation), it may be sufficient to report an unspecified code. Providers shouldn’t change their clinical decision-making process simply to obtain greater specificity. Providers should only perform a culture when warranted. Pediatricians must document the specific type of feeding problem (e.g., slow feeding, overfeeding, or regurgitation and rumination). Unlike ICD-9-CM, which only included two codes (779.34, failure to thrive, and 779.31, feeding problem), ICD-10-CM includes separate codes for each specific problem. Review each of the code categories listed above to familiarize yourself with code options. Also review CMS references for pediatricians. Laterality plays an important role for many of these diagnoses, and pediatric practices could take a significant financial hit if this information is not specified. And for more on how to manage the impact of ICD-10, download the free eBook, ICD-10 How to Transition Your Pediatric Practice now.